The Fondillón was already known during the Renaissance. Francisco Martinez Montiño, senior chef Philip II (1527-1598), said that the Japanese princes who visited the monarch, recognized the Fondillón that the Spanish sailors carried to East. The German traveler Hieronymus Muenzer, MD, geographer and astronomer, during his stay in Alicante (1494 -95) saw in the port "twenty anchored ships waiting to stow the so celebrated wine of Alicante." In 1560 the British Parliament decreed that from the first day of September 1561 it could not sell any wine from Alicante without permission of Queen Elizabeth I, and that the sale was to be offered to her first. 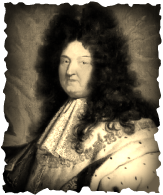 The Duke of Saint-Simon, the official chronicler of the court of the "Sun King" Louis XIV of France, told in a memoir titled "Journal de la maladie du Roi" as in the last days of his life, his Majesty took cupcakes wet in FONDILLÓN in order to satisfy one of his most exquisite habits. Wine exports was undoubtedly the activity that caused the port of Alicante reached a high development during the nineteenth century; among all their wines, the Fondillón was recognized as one of the best introducers that Alicante had in Europe. In general the number of shipments became so celebrated for its volume that, even Defoe, author of "Robinson Crusoe", wrote on it that his "vines were able to produce as many wine barrels as wine barrels have the port of Alicante" which means the importance of his own production. "The Count of Monte Cristo" (Alexandre Dumas 1844) also reflected the relevance of our wine when the author tells us in a scene like the Count offers the Marquis de Cavalcanti, a connoisseur of art and wine, choose from a glass of Fondillón, Oporto or Jerez, answering that his favorite is the Fondillón of Alicante. The wine cellar Hnos. Verdú from Monóvar, which once had branches in London and Frankfurt, put on the market a box of twelve bottles of Fondillón in 1890 worth 400 pesetas; the price of a stamp was one penny, i.e. a case of Fondillón costed 40,000 times more than a stamp, € 15,000 today. Fondillón is considered to be the most expensive wine in the world at that time.